Althusser, Louis (1988). Navarro, Fernanda, ed. Filosofía y marxismo (in Spanish). Siglo XXI. ISBN 968-23-1474-7. Althusser, Louis (1992). Corpet, Olivier; Moulier-Boutang, Yann, eds. L'avenir dure longtemps: suivi de Les faits. Éditions Stock / IMEC. ISBN 978-2-246-7796-12. Althusser, Louis (2011). Corpet, Olivier, ed. Lettres à Hélène: 1947-1980. Éditions Grasset. ISBN 978-2-246-7796-12. Balibar, Étienne (2005a). "Avant-propos pour la réédition de 1996". In Althusser, Louis. Pour Marx (in French). La Decouverte. pp. I–XIV. ISBN 2-7071-4714-1. 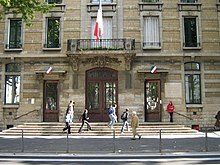 Balibar, Étienne (2005b). "Note biographique". In Althusser, Louis. Pour Marx (in French). La Decouverte. pp. 266–274. ISBN 2-7071-4714-1. Corpet, Olivier (1994). "Avertissement". In Althusser, Louis. Sur la philosophie (in French). Éditions Gallimard. ISBN 978-2-070-7389-46. Corpet, Olivier (2005). "The Tbilisi Affair". In Althusser, Louis; Corpet, Olivier; Matheron, François. Writings on Psychoanalysis: Freud and Lacan. Jeffrey Mehlman (translator). Columbia University Press. ISBN 0-585-04147-4. Elliott, Gregory (2001). "Introduction: In the Mirror of Machiavelli". In Althusser, Louis; Matheron, François. Machiavelli and Us. Verso Books. ISBN 1-859-84282-8. European Graduate School. 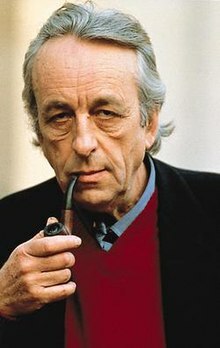 "Louis Althusser – Philosopher – Biography". Archived from the original on September 24, 2015. Levine, Andrew (1999). Audi, Robert, ed. The Cambridge Dictionary of Philosophy. Cambridge: Cambridge University Press. ISBN 0-521-63722-8. Lewis, William S. (2014). Zalta, Edward N., ed. "Louis Althusser". Stanford Encyclopedia of Philosophy. California: Stanford University. ISSN 1095-5054. Stolze, Ted (2013). "Althusser, Louis". In McGee, R. Jon; Warms, Richard L. Theory in Social and Cultural Anthropology: An Encyclopedia. Thousand Oaks, California: Sage Publications. pp. 7–10. ISBN 978-1-412-99963-2.